What steps does one take to become an associate? 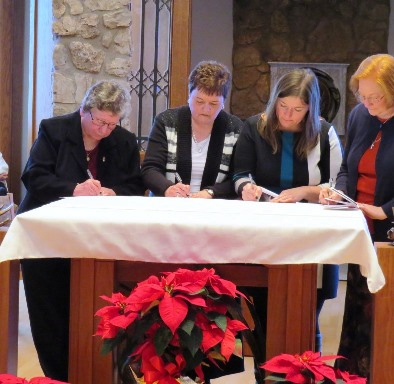 Becoming an Associate of the Congregation of Sisters of St. Agnes begins with an application and a discernment process. Each candidate journeys with a mentor, a CSA Sister or an Associate, assigned to accompany her/him along the way. The mentor and candidate meet regularly over the course of a year. They discuss and reflect on spirituality, charism and mission and the history of CSA and associate relationship. At the close of the year, if the candidate chooses, she/he submits a letter of intent to make a commitment to associate relationship with CSA. Candidates go on to make their First Commitment in a prayer service. They join other associates and sisters in a spiritual journey of support, mutuality and mission.